Uncertainty about effective marketing. What is the number of new customers you'd like to attract and what is an appropriate budget to do that? 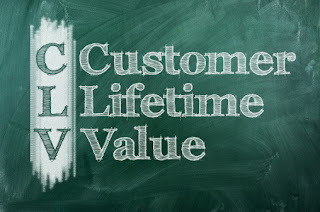 Defining a customer value will guide your marketing strategies! Average Lifespan/Time (t). A customer's lifespan is how long they actively connect with your business before they move on or go dormant. This can be a complex calculation, but to keep things simple you can either give a broad estimate (an educated guess) or you can calculate an average based on a select number of known customers (adding the length of each of their commitments and dividing by the number of customers). For example: Total Length of Commitment/Number of Individual Customers = Average Customer Lifespan (t). A customer represents the future of your success and your livelihood, and it will be difficult to thrive if you aren't willing to risk or invest to attract new business. What are your obstacles to expanding your reach or enlarging your advertising? Has the uncertainty of direct mail marketing kept your business from growing? Why not rely on our expertise? We offer sophisticated, simple ways to reach a mass audience for an amount that works within your budget. Need a creative concept or help to carry it to completion? We offer prompt, knowledgeable service for every custom design mailing. Give us a call today!